Zhiming Long is an assistant professor at the School of Marxism of the Tsinghua University, Beijing, People’s Republic of China. Rémy Herrera is a researcher at the National Center of Scientific Research and the Centre d’Économie de la Sorbonne in Paris, France. Tony Andréani is Emeritus Professor of Political Science at the University of Paris 8 Saint-Denis, Saint-Denis, France. China’s ruling class admits that the capitalist private sector plays a very important role in the country’s economy. However, it claims that this sector is one of the many components of a mixed economy, in which the public sector and the power of the state must be strengthened. Based on their speeches, many Chinese leaders seem to argue that China is currently in a “primary phase of socialism,” an essential step toward developing the necessary productive forces for full-fledged socialism. Are such statements accurate? Do they deserve to be taken seriously? Put another way: Is Chinese socialism over? We do not think so. There are, however, other Marxists—rare, but no less important—who continue to defend the idea that, although the system currently operational in China could be absorbed into a form of state capitalism, there is also a wide range of other possible paths it could take.2 In this article, we will push this idea further, arguing that the Chinese system today still contains some key components of socialism and is compatible with a market, or market-based, socialism that is clearly distinct from capitalism. The persistence of powerful and modernized planning, which takes various modalities and mobilizes different tools according to the sectors concerned. A form of political democracy that makes possible the collective choices that underpin this planning. Very extensive public services, which condition political, social, and economic citizenship and, as such, are off the market or weakly marketable. Public ownership of land and natural resources—state-owned at the national level and collective at the local level—thereby guaranteeing farmers access to land. Diverse forms of ownership suitable to the socialization of productive forces: (1) SOEs, provided that they differ from capitalist firms, particularly with regard to the participation of workers in management, (2) small individual private property, and (3) socialized property. In addition, there is capitalist property, which was maintained and even at times encouraged during the long socialist transition in order to stimulate activity and make effective other forms of property. A general policy consisting of increasing labor income relative to other sources of income. The promotion of social justice from a more egalitarian perspective. The preservation of nature, considered to be inseparable from social progress, as a goal of development in order to maximize wealth. Economic relations between states based on a win-win principle, that is, systematically seeking mutual benefits. Political relations between states based on the pursuit of peace and more equitable relationships. In China, the justification for public enterprises is threefold: they can distribute more to their employees; the state is free to define the method of management, particularly in terms of salaries; and such enterprises can be easily put at the service of state projects. In a rather socialist fashion, the state allocates dividends from a special support fund for SOEs, which also benefit from credit and interest rate advantages. Part of the strength of these SOEs comes from the fact that they are not managed like Western private companies, which are listed on the stock exchange and oriented toward maximizing shareholder value with dividend distribution, stock valorization, and high returns on investment by pressuring subcontractors. If Chinese public entities operated in such a way, it would be to the detriment of the local industrial fabric, which is obviously not the case. We would then be dealing with a savage form of “state capitalism,” as is often claimed, and there could be no dynamic economic growth. Most Chinese SOEs are, or have become, profitable because the principle that guides them is not the enrichment of shareholders, but productive investment and service rendered to customers. It does not matter if their profits are lower than those of their Western competitors; they serve in part to stimulate the rest of the economy. One of the specificities of these public companies is to pay relatively little—around 10 percent—in dividends to the state shareholder. Today, many foreign experts advocate increasing these dividends and the Securities Regulatory Commission sometimes seems to lean in this direction. Inspired by Western capitalist practices, this orientation is not the right fit for China’s public companies, which would be deprived of their advantages and, even though they would still be under state control, would increasingly cater to private shareholders, as is the case for Western firms that, in turn, most often depend on the portfolio strategies of the world’s leading financial oligopolies. Instead, it would be better for the Chinese state to introduce a tax on capital in the form of rent for the provision of property, and profitable companies could retain a larger share of the profits for investment, as well as research and development. China’s SOEs should not be managed like private companies. “Chinese-style market socialism” is based on maintaining a strong public sector that has a strategic role in the economy. There is every reason to believe that this is one of the essential explanations for the performance of the Chinese economy. This is probably also related to the size of SOEs: giants that benefit from economies of scale that reduce costs at all levels, and provide a myriad of small and medium production units with inexpensive inputs that ensure competitive manufacturing conditions in the markets. A laudable characteristic of Chinese public enterprises is the limited but real participation of personnel in the management of units through representatives on the supervisory board and in the workers’ congress. The shareholder logic would run counter to such participation—a participation that must be strengthened. Another advantage is that these SOEs can more easily meet planning objectives. This is not a question of imposing political tasks that would reduce their autonomy and weigh on their results, but it is to say that by controlling the appointment and management of leaders, public authorities on which many companies depend have the means to ensure that they act appropriately in public services as well as in the market sectors that planning can help guide, such as through subsidies and taxation. In China, social services, such as education, health care, and pensions, are wholly or mostly controlled by the state, namely, the central government or, more often, local governments. Such services do not provide goods marketed by the private sector, but rather social goods necessary for individuals to be thriving political, social, and economic subjects—who are in good health, have access to employment, enjoy public transportation, are educated, and so on. However, public services are considered strategic goods in that they provide essential inputs for the rest of the economy: energy, infrastructure, basic materials, and even banking and research. While the private sector is considered complementary or stimulating, the state favors the public sector in the exercise of competition. The broad conception of these “strategic” public services is one of the greatest strengths of the Chinese economy. Hence, through the adoption of this coherent strategy of development focused on large public services, what is at stake here is also the defense of national sovereignty. A remarkable feature of China’s political and economic system is its powerful planning, which continues today despite changes in objectives and instruments over recent decades. The speeches given before the National People’s Congress every year indicate whether the quantified objectives set out in the Five-Year Plan have been achieved, as is often the case, and which ones to reach in the year to come. This planning, which looks to a future in a world marked by uncertainty, is the expression of collective choices and a general will. It is the crystallization of a common national destiny and the means for people to become its master in all spheres of life, from consumption to housing. These choices are made by the CCP for citizens, with the principle of consultation increasingly posited as a necessity. This strong strategic planning, with modernized techniques adapted to the needs of the present, by means such as subsidized rates, price controls, and public orders, is one of the distinctive features of a socialist system. Nevertheless, today we are obviously far from the egalitarian ideal of socialism. China remains a country with immense social inequality. The line on equality was suspended to accelerate growth (hence the motto “enrich yourselves”), and then taken up again with the recent promotion of social justice themes. The exaltation of “socialist morality” by CCP leaders can lead to skepticism when we know about the consumerism, desire for luxury, and even corruption that exists in China. We must not, however, take lightly that the Chinese state is consistently opposed to this moral degradation. There is a continuation of the ideals of socialism—not just of a social justice restricted to limited redistribution of income, that employs notions of fairness to justify inequality, or exploits representative democracy effectively to eradicate the participation of people. It is in the public sector that the state has the means to reduce these inequalities through the participation of workers in management and the role of public enterprises as “social engines.” This is yet another argument in favor of strengthening the public sector. Many economists consider the current Chinese financial system to be obsolete and call for its modernization, that is, its incorporation into the extended financial markets that they believe are necessary for growth.4 Financial sector reforms have been accelerating since 2005 and have taken the form of opening up the capital of state-owned banks and the creation of new stock exchanges. These reforms have followed those previously taken by SOEs, which were empowered and given increasing autonomy with regard to following the Five-Year Plan; transformed into joint stock companies; and encouraged to adopt market-management criteria, to draw on the methods of market finance, and to develop partnerships with foreign investors. Thus, the initial public offerings of the largest banks—Bank of China, Industrial and Commercial Bank of China, and China Construction Bank—were preceded by the entry of foreign institutions into their capital structures, such as Goldman Sachs, UBS, and Bank of America, respectively, in order to facilitate the learning of corporate governance. Nevertheless, the financing system of the Chinese economy is still based on banking intermediation, even if it tends to move away from it rather quickly, on the political authorities’ grounds that there must be a balance struck between financial markets and bank credits. We must be careful not to confuse modernization in this sphere with the adoption of capitalist methods. It is far from clear that a choice in favor of market finance has been made, seeing as interventions into the financial system by monetary authorities remain massive and the pragmatism of their approach is perceptible. 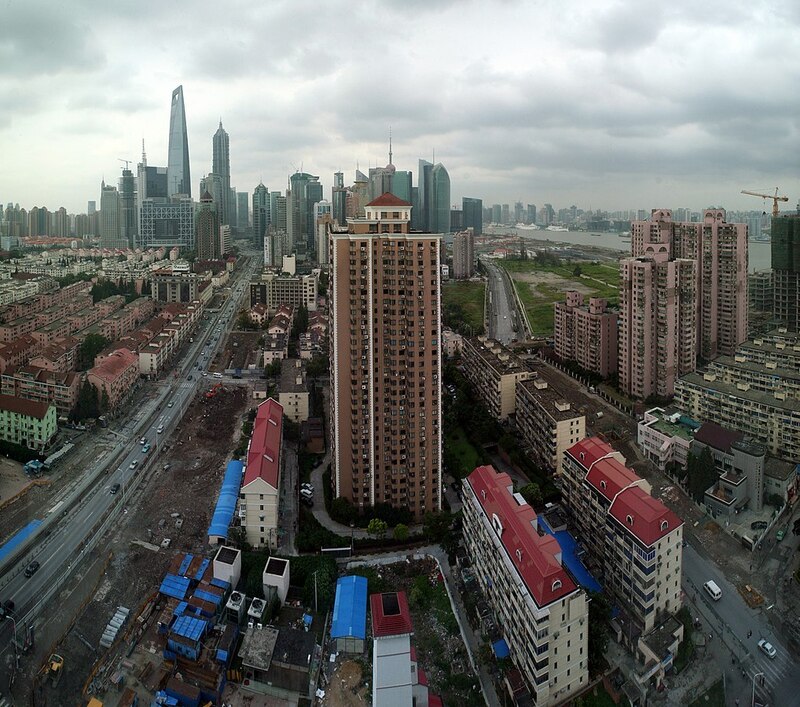 The Chinese public authorities are experiencing both advances and setbacks in the context of a deeper, but contradictory, integration of the country into globalization. This was particularly true during each phase of the economic slowdown after 2008, marked by a stimulation of bank credits to correct the disorders of finance. At the turn of the 1990s, following the crisis of 1990–91, banks that had engaged in adventurous operations, such as insurance and real estate, had already been banned from doing so between 1992 and 1995, even though they have since been allowed to conduct operations combining bank credits and financial markets. More recently, after 2008, as observed previously, China’s authorities were forced to firmly limit the destabilizing social impact of the global crisis by changing the existing institutional framework, acquiring powerful control instruments, and consolidating their development strategy. Chinese political leaders know the benefits of banking intermediation and are aware of the serious malfunctioning of financial markets, regularly calling for the reform of the world monetary and financial order. They prefer to keep much of the banking system under state control by striving to improve its functioning, are reluctant to abandon the “universal banking” model, and are moving toward mixed operations, but carried out in specialized subsidiaries, separate from the rest of the public holding company, and placed under the watchful eye of the Banking Regulatory Commission. Furthermore, despite reforms, interest rates are still largely administered. For the interest rates that have been liberalized, the supply of credit is strongly controlled by the central bank, notably through reserve requirements. The easing of some constraints imposed on banks to fix rates on deposits should not cause us to forget that, historically, monetary authorities have willingly reduced the remuneration on deposits to a minimum (under the inflation rate) and this has not altered the national savings rate, which still remains very high. One of the specificities and strengths of the Chinese economy is the voluntarist twist in factor prices. The government was right not to let the market “freely” fix the price, so as to control the supply of credit, which is difficult to manage but vital for the economy. State authorities with a macroscopic view of the risks are the only ones able to guide the economy according to a plan. As administered interest rates do not allow for timely adjustments between household savings and the economy’s financing needs, the preferred rate regime is a semi-administered one, with upper limits for credit supply and lower limits for the remuneration of savings. Thus, in the debate on interest rates, we lean toward maintaining some degree of control. The expansion of the private sphere logically implies a rise in the stock market. Nevertheless, the latter should remain limited. Whereas the stock market can be useful for the private sector, public enterprises must, on the contrary, rely on it less and less as they increase their self-financing capacities and provide the funds available to the state for carrying out capital increases. For the time being, the opening of the equity market to international investors is restricted to allegedly qualified players. 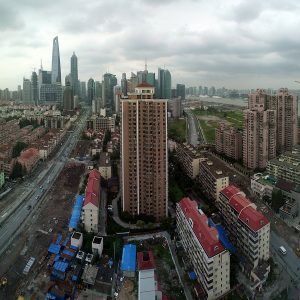 The authorities, who are rightly suspicious of speculative movements, have so far prohibited foreign firms from issuing shares in yuans in the domestic market. To release these brakes, particularly to advance toward full convertibility of the yuan and its supposed advantages, would involve submitting to the powerful financial oligopolies, especially U.S. ones. The use of the stock market should remain as limited as possible and should not lead to aligning with the shareholder value model. China’s savings are plentiful enough to be mobilized through domestic institutional investors, which can be subject to limits of profitability. A feature often emphasized in describing the success of the Chinese economy is the boom in its exports of goods and services since the early 1990s, especially in the year 2000. It is hastily concluded that these exports drive the country’s growth. This is to forget that the strategy of development—one of the “secrets” of China’s performance in the world market—is conceived and applied with regularity and pragmatism by Chinese leaders. This strategy is focused on a more domestically oriented model and the maintenance of very powerful state sectors such as energy, transportation, telecommunications, raw materials, semi-finished products, construction, and the banking system. The vast majority of entrepreneurs in China’s manufacturing sector are primarily interested in domestic outlets for their products. It is especially the rise in internal demand, stimulated by a sharp increase in household consumption and very active state capital expenditure—particularly infrastructure—which guides their optimistic investment programs. Thanks to the progress of increasingly well-controlled national technological innovation operating in all fields, including space, robotics, and telecommunications, the productive scheme of the country has evolved from “made in China” to made by China. The accelerated pace of labor productivity gains is helping support the rapid growth in industrial real wages, while the rise in Chinese labor costs relative to other competing countries in the global South is not detrimental to competition. Exports play a supporting role, as does foreign direct investment, since over half of exports come from foreign firms based in China. This makes it possible to understand that in 2011, for example, the negative net contribution of exports to Gross Domestic Product (GDP) growth (-5.8 percent) did not hinder the dynamism of the latter (close to +10.0 percent), nor even slow the rise in profit margins. The GDP growth forecast for 2018 is 6.7 percent (against an inflation rate of 1.5 percent), with contributions estimated at 4.5 percent for consumption, 2.0 percent for investment, and only 0.2 percent for exports. It is often said that the success of Chinese exports would be due to the very low cost of labor. This is a largely insubstantial assessment: labor costs represent only a small proportion of sales prices (5 to 10 percent on average), and do not compensate for the transportation costs to importing countries, even though Chinese wages tend to grow faster than those of competitors in the global South. China’s export success is largely due to the lower costs for inputs, such as energy and basic materials, provided by SOEs. Admittedly, Chinese wages are significantly lower than in the global North, but much higher than the alleged “miserable” wages. In response to the 2008 crisis, whose effects were felt some years later in China, the state’s anti-crisis policies aimed at correcting imbalances in the economy, particularly through massive expansion in public infrastructure, including in rural areas; promotion of new mid-sized urban poles in the inner parts of the country; and the adoption of measures favorable to the agricultural population.5 The net income of rural households thus increased, in real terms and per capita, considerably faster than those in urban areas. Thus the share devoted to consumption in the national income increases relative to that of investment. Investment in services to households and enterprises is also progressing. In addition, the financing of real estate, including the credit system, is more controlled. The rise of China’s exports of goods and services, coupled with the exports of capital, such as in the refunding of the U.S. Treasury and the restructuring of European sovereign debts, crystallizes another point of tension.6 One often reads in the West that the undervaluing of the Chinese currency, the renminbi, whose basic unit is the yuan, is the starting point for the bilateral trade deficits with most Western countries, starting with the United States.7 Pressure from Washington for the appreciation of the renminbi vis-à-vis the dollar is met with resistance in Beijing, but has resulted in several reassessments, the most recent ones being in July 2005 and April 2012. Between the summer of 2005—when China decided to stop linking its currency to the dollar—and the spring of 2012, the value of the renminbi appreciated, in real terms, by 32 percent against the dollar.8 Nevertheless, the idea persisted that the already cheap products exported by China would be made more competitive by an artificially depreciated currency. Internationalization of the renminbi, especially to transform it into a global reserve currency, would require the adoption of very strict conditions: opening of the capital account as well as flexibility of the exchange rate; integrating Chinese financial markets into the capitalist world system; applying macroeconomic policies to fight against inflation and limit public debt aimed at gaining the confidence of the financial markets; and having an economy of critical size to justify this ambition of internationalizing the currency. The first two conditions are essential requirements, but the last two are not, as they have not always been respected by Western countries with currencies used as international reserves. The internationalization of the currency would bring benefits to China, starting with a right to seigniorage, which is clear in the case of the United States. Nevertheless, such an orientation would mean an injurious submission to globally dominant high finance and a relative loss of control over monetary policy. How would China succeed in taking advantage of an internationalized renminbi without paying a heavy price, and would it mean renouncing the full exercise of its national sovereignty and a reduction in the autonomy of its development strategy? Today, domestic pressures strongly favor financial market liberalization, but are still dampened by the reassuring, rather credible, official discourses about the control of the reform process. These pressures are particularly troubling compounded with the recommendations made by International Monetary Fund experts and Western leaders that China take the path of neoliberalism. Chinese leaders, generally nuanced and cautious, are perfectly aware of the dangers that an internationalized renminbi implies for the future of market socialism. Let us hope that they will be able to resist neoliberalism. In the meantime, they are strengthening numerous partnerships with countries to the south and the east, particularly within the Shanghai group, and are reopening a new silk route to loosen the grip of aggressive U.S. encirclement. The evolving relationships between, on the one hand, the ruling CCP and the social bloc on which it relies—the middle-class beneficiaries of growth, but also private entrepreneurs—and, on the other hand, the masses of workers and peasants, opens up prospects for large-scale confrontation, as well as divergent trajectories and economic structures.11 One question, however, still remains: How can the ruling elites, whose legitimacy is reinforced by the positive spin-offs generated by growth, succeed in renewing the conditions of China’s success story without relying on an internal change in favor of the popular classes—workers and peasants—and on a reorientation of the national project toward social policies? Would the elites’s choice of a clear capitalist path—which would lead to a disruption of the country’s internal and external balance and a loss of control in the face of growing contradictions—not guarantee the failure of the strategy adopted until now? What will be the geoeconomic stance and geopolitical military perspective of the United States faced with the continued rise of China? The future of China remains largely indeterminate not only because of its own dynamics, but also because the financial oligopolies of the global North seem to increasingly want to enter into conflict, despite their close interdependence. Even in the face of U.S. hegemony, China’s current economic system still contains elements of socialism, as well as the potential for its reactivation. Moreover, it also contains possibilities for transforming the global economic and political order into a multipolar world. ↩ David Harvey, A Brief History of Neoliberalism (New York: Oxford University Press, 2005). Giovanni Arrighi, Adam Smith in Beijing (London: Verso, 2009). Leo Panitch and Sam Gindin, “The Integration of China into Global Capitalism,” International Critical Thought 3, no. 2 (2013): 146–58. ↩ Some examples of such Marxists and their work: Wen Tiejun, “Centenary reflections on the ‘three dimensional problem’ of rural China,” Inter-Asia Cultural Studies 2, no. 2 (2001): 287–95. Samir Amin, “China 2013,” Monthly Review 64, no. 10 (March 2013): 14–33. ↩ Tony Andréani and Rémy Herrera, “Which Economic Model for China?” International Critical Thought 5, no. 1 (2015): 111–25. ↩ Frederic Mishkin, Economics of Money, Banking, and Financial Markets , 9th ed. (Boston: Pearson, 2010). ↩ Erebus Wong and Jade Tsui Sit, “Rethinking ‘Rural China’, Unthinking Modernisation,” in Rémy Herrera and Kin Chi Lau, eds., The Struggle for Food Sovereignty , (London: Pluto, 2015), 83–108. ↩ Alexandra Stevenson, “More UK Equities for China…?” Financial Times , June 3, 2011. ↩ See the U.S. Congressional Research Service reports, http://fas.org. ↩ See the Annual Economic Reports by the Bank for International Settlements, http://bis.org. ↩ Martin Wolf, “Why America is Going to Win the Global Currency Battle,” Financial Times , October 12, 2010. ↩ Rémy Herrera, “A Marxist Interpretation of the Current Crisis,” World Review of Political Economy 5, no. 2 (2014): 128–48. ↩ Samir Amin, preface to Rémy Herrera, Avances revolucionarios en América Latina (Quito: FEDAEPS, 2012).